Evergreen Park is located on Newcastle and Evergreen, just south of the Nature Discovery Center. Baby James and I ran by (along with many other runners and stroller pushers on the Newcastle path) and he insisted that we review this park. I was excited to have a good excuse to not run, so we stopped by the park. 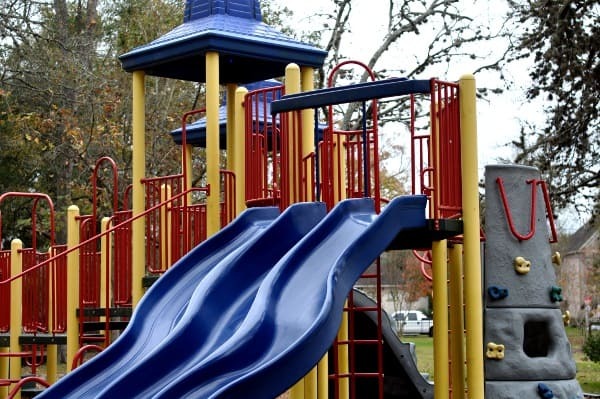 Evergreen Park has a community pool, picnic tables and a playground. 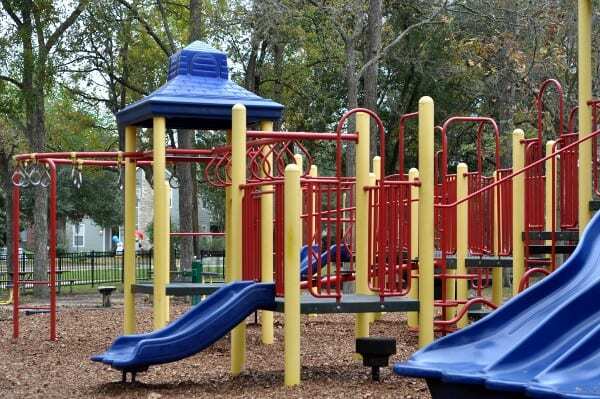 There are swings and one play structure. And I’m certain the planners in charge of this park sprung for the deluxe play structure. 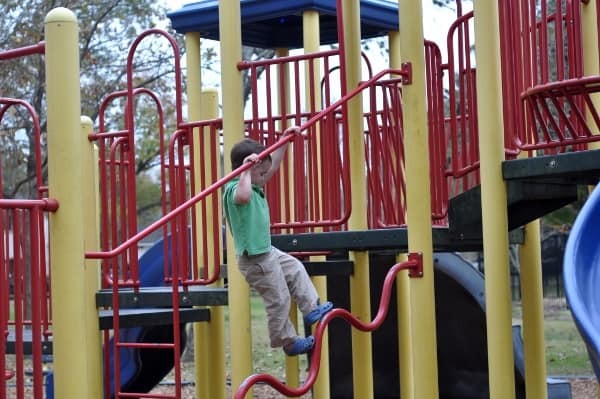 This one piece of equipment has ladders, rock walls, monkey bars, bridges, twists, turns and much more. It kept us busy for a long time. 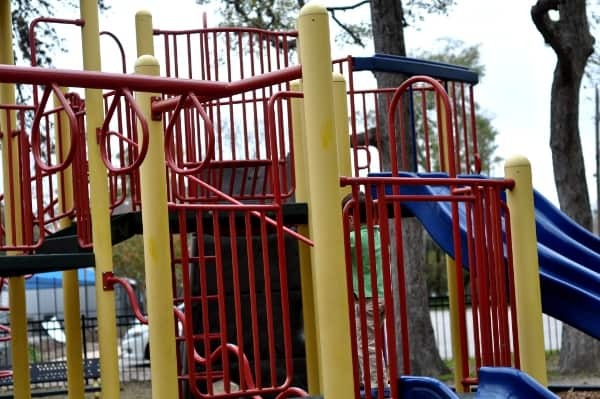 My 2 year old liked the bridge and slides and the bigger kids liked the monkey bars, rock walls and “hidden” ladders. This park is completely fenced in, making it good for kids to run around, but also completely visible from the street, making it feel safe. The pool is open in the summer time and can be used by non-Bellaire-residents for $5. We did not visit it, but we are excited to try out the water slide! Olive Spiders for the Halloween Lunch Box! "I Love School" Lunches!